With the Golden Globes now behind us, it's time to turn our eyes toward the next big award show. The British Academy of Film and Television Arts (or BAFTA for short) has just released its list of nominees for the 71st BAFTA awards, with the ceremony set to commence on February 18. The Shape of Water, Guillermo del Toro's love story inspired by the classic monster movie Creature From the Black Lagoon, leads the pack with 12 nominations, including Best Director. That movie also had the most nominations at the Golden Globes (where it won Best Original Score and Best Film Director) so, you know, maybe go see that if you haven't already. 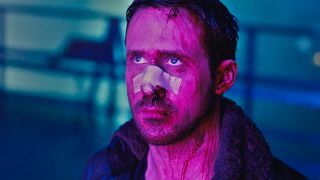 Blade Runner 2049 is even more of a surprise contestant, with eight nominations. Neither genre movies nor sequels tend to get much love at these awards ceremonies, so the fact that it's on the list at all should raise some eyebrows. The amount of BAFTA nominations means it ties with Ridley Scott's original, and it even one-ups the 1982 classic in one way: Blade Runner 2049 director Denis Villeneuve is in the running to win Best Director, while Scott never received such a nod for the original Blade Runner from the BAFTAs (though the movie did win several other BAFTA awards). The BAFTAs will air live on Sunday, February 18, from the Royal Albert Hall, London. The red carpet will be livestreamed on Facebook starting at 8:30am Pacific / 4:30pm GMT, while the ceremony itself will be broadcast exclusively on BBC One and BBC One HD starting at 1pm Pacific / 9pm GMT.